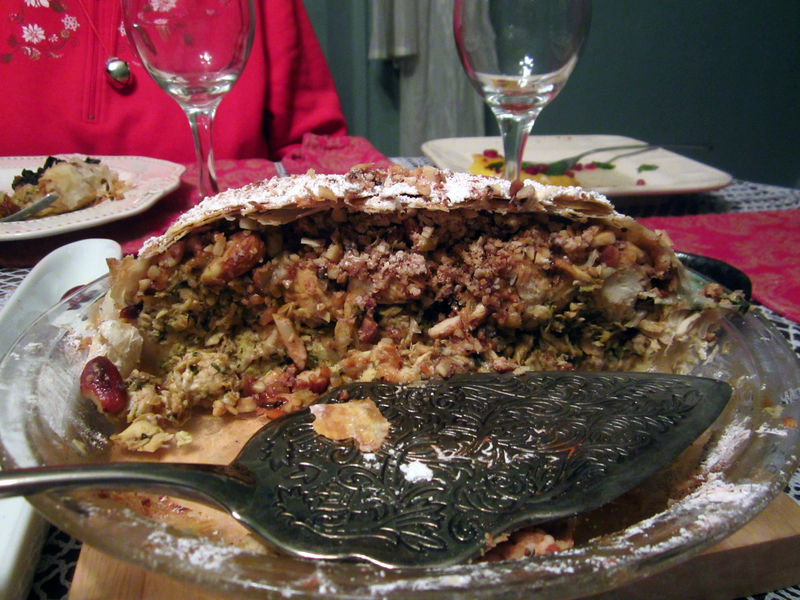 I like to make new dishes for Christmas Eve dinner that is different from the standard ham or turkey. This year, I chose to do a Moroccan theme since I fell in love with the food during my visit last June. Below is my menu along with the recipes (or links to them). 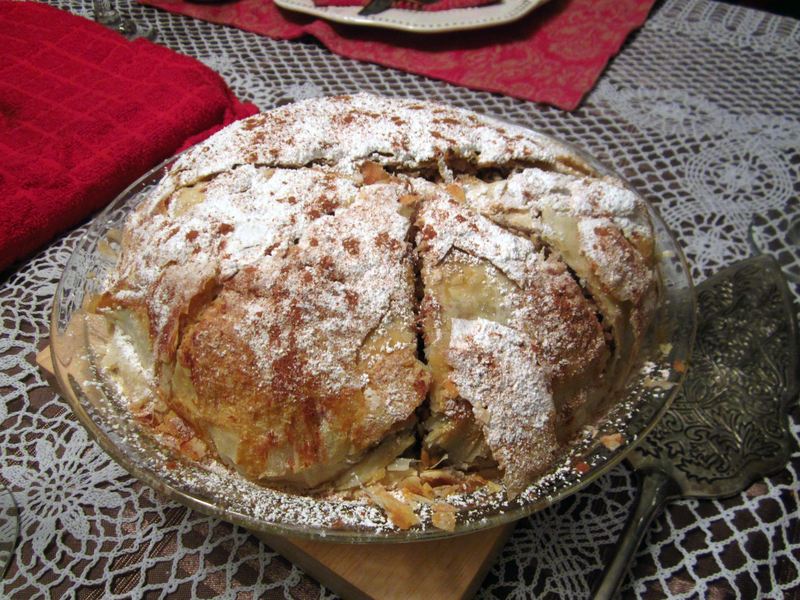 PS – All but the Bastilla are gluten-free and dairy-free. Slice off the rind and pith of two large navel oranges and arrange on a plate. Sprinkle with 1/4 cup orange blossom water and allow to sit for at least one hour. Sprinkle with cinnamon, then scatter on a handful of pomegranate seeds and 1/4 cup chopped mint. Chopped one bunch of chard (finally chop the thicker stems). Saute chard in 2 tbsp. safflower oil. When wilted, add 1 tbsp. 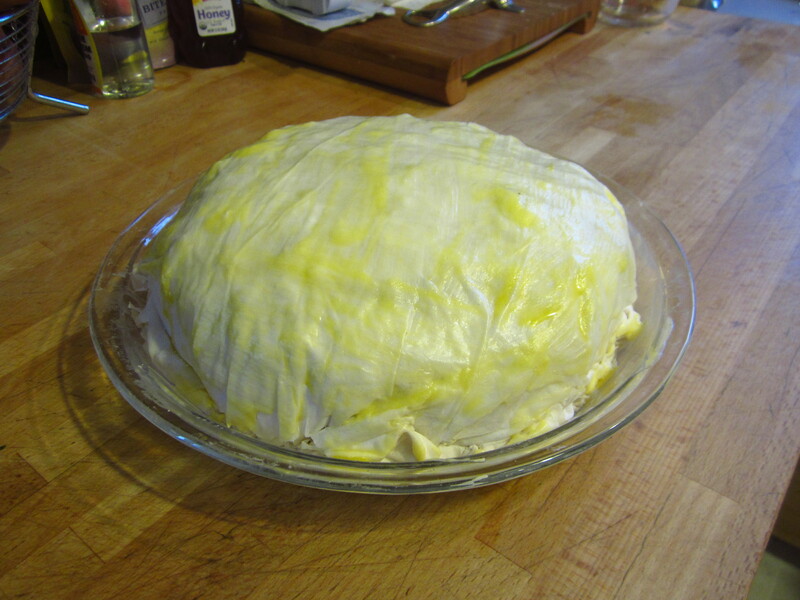 of ras el hanut, salt (to taste) and 1/2 chopped preserved lemon rind. 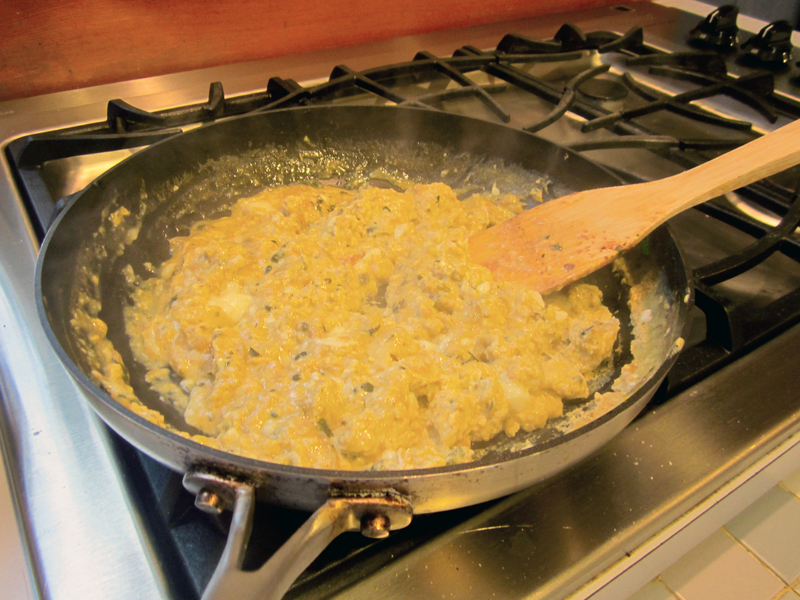 Continue cooking until chard is tender, about 4-5 minutes. Drizzle with olive oil before serving. 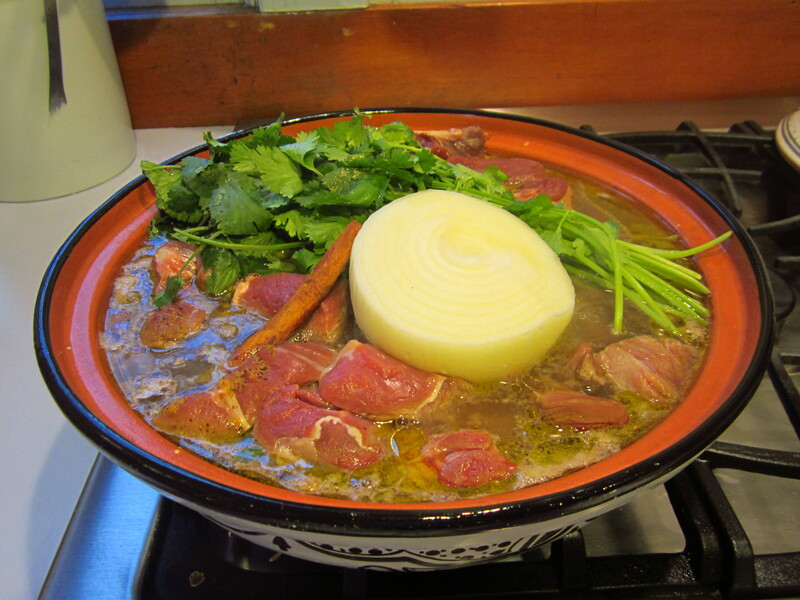 In the bottom of your tagine, add the olive oil, lamb, onion, cilantro, cinnamon stick, ginger, saffon, salt, pepper and water. Using a diffuser under your tagine, bring to a boil using medium heat. 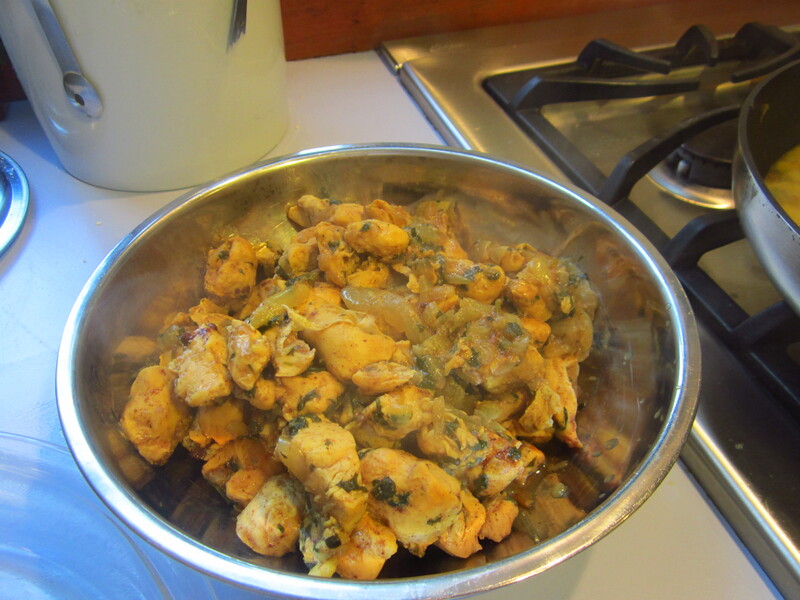 Reduce heat to low and cover with tagine lid. From time to time, skim off stew. Cook for 2-3 hours. Discard the cilantro, onion and cinnamon stick. Add prunes and continue cooking with the lid on for 15 minutes. Remove lamb & prunes to a bowl. Boil liquid until reduced, about 5 minutes. Add honey and boil 5 minutes. Turn off burner. 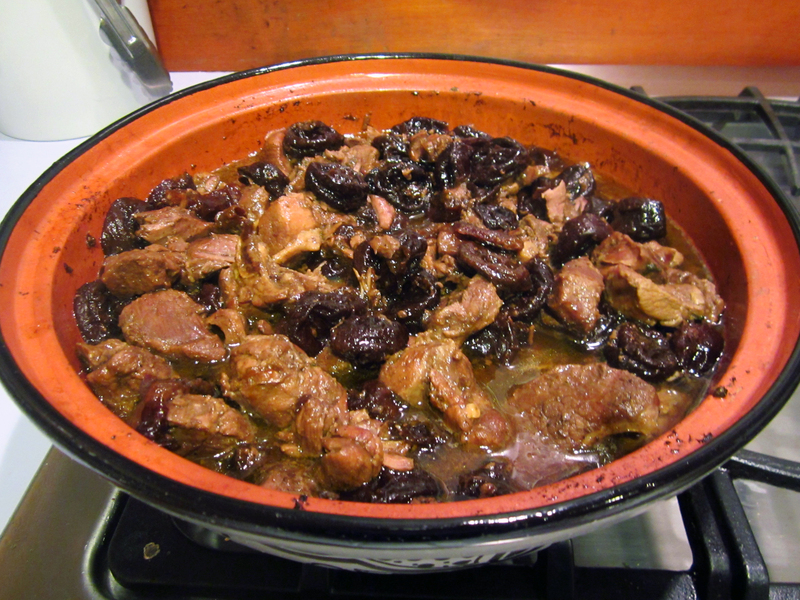 Return lamb and prunes to the tagine and stir in orange blossom water. It’s now ready to serve.